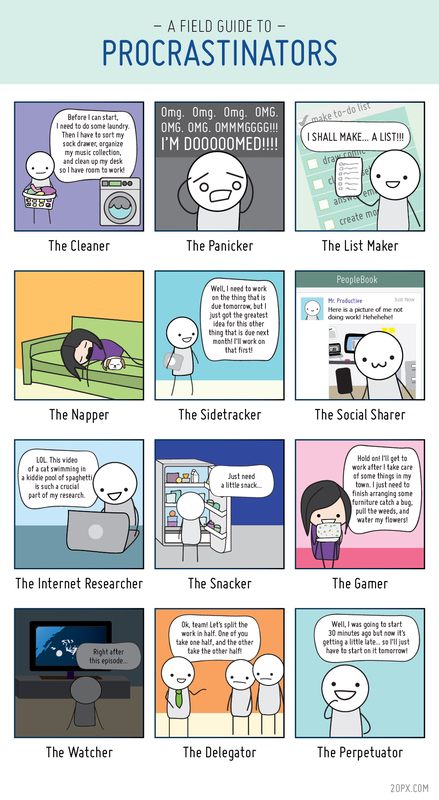 Apparently, there’s a vicious rumor circulating that I’m a world-class procrastinator. There is, perhaps, a grain of truth (but just a grain!) in that rumor. I’m not The Panicker (my philosophy is everything will get done … eventually) and, with the exception of a brief Sonic the Hedgehog 2 addiction back around 1993, have never been The Gamer. But I suppose you could call me The Blogger. Whatever. Everything gets done … eventually. 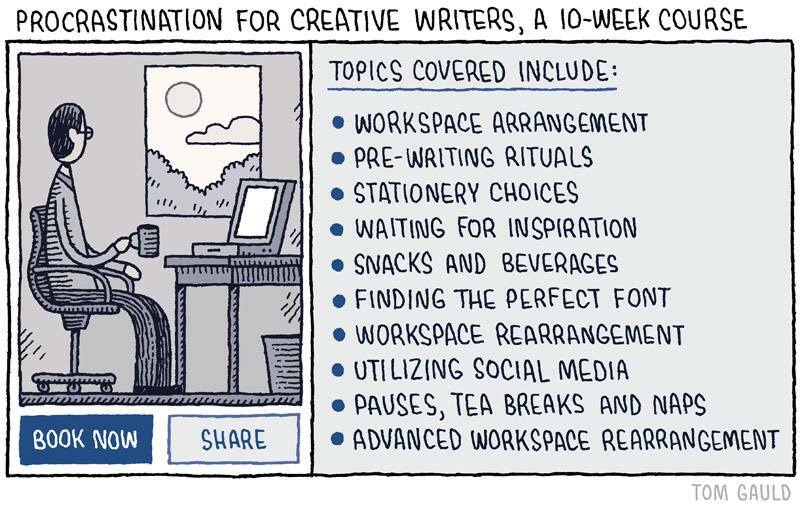 Cartoon #1 by Tom Gauld; cartoon #2 via Twenty Pixels.